The recent closure of an aged care centre in the UK has brought to the fore the issue of provisions for safety in places where they are needed the most. It is indeed a matter to be concerned about that in most buildings and public places the two key aspects of safety and health are either neglected or not given the priority they should be assigned. If you are in any way involved in managing a building or other premises, you should consider hiring the services of agood health & safety consultant, who would be able to provide all the inputs that you need in this area. The concept of declaring a building safe or not is built upon several factors. Even before the construction is undertaken, the structural stability of the building planned has to be ascertained. This is generally the responsibility of the architect and the structural engineer. Elements like the stability in the event of an earthquake are also checked out. But when the building gets constructed and occupied, many agencies have to inspect and accord their approval from the safety point of view. But what the health & safety consultant brings to the table is a holistic view of the safety aspect. There are everyday drills like how to react in the case of a fire or if the lift stops suddenly, and passengers are stuck inside and so on. There are primarily 2 aspects to these checks. The first would be to check if the basic provisions are in place. In this example, does the lift have the emergency provision to bring the lift manually to the immediate next floor and the door to open without having to wait for an expert? Are all fire fighting equipment in place and are they periodically checked if they are in working condition? But above all these, there are cases where the people in the building have to be trained or made aware of how to use the safety provisions. The incident quoted in the first paragraph above is very much a case in point since the inmates of the home were not aware how to use an emergency switch! Now, while safety is being considered, the health and hygiene aspect cannot be separated from it. The first requirement in any building where public gathers or even for a building where hundreds of employees come to work every day is to maintain it spotlessly clean. There must be a garbage removal procedure in place and a mechanism to monitor the efficient functioning of the cleaning and garbage clearance activities. In the case of industrial units, there are other precautions to be taken with regard to making the whole place healthy and the environment unpolluted. Many of these are mandated under laws governing the safety and health of the employees in any enterprise. In places like a shopping mall where people frequent in large numbers, the health & safety consultant will frame the guidelines on what steps should be taken to stay in conformity with the requirement. Recently, there was a news item in a daily newspaper in Doha that 6 reputed beauty salons were indicted with allegations of using expired hair products. Immediately after the allegations came into surface and were proven, the Ministry of Economy and Commerce declared verdict for immediate closure of the salons in operation. Therefore, it is for your own safely and hygiene that you should ensure you are visiting a trustworthy salon for beauty treatments. There is even no barrier or nothing to be ashamed of even in checking on the products’ expiry date that are being used in your beauty treatment. Nonetheless, many beauty salons in Gold Coast have pocketed a great reputation in Australia for upscale beauty regimes and services. Iso Lipting Treatment in winters – This is a dedicated anti aging treatment offered by beauty salons, and works intensively to provide your skin a rejuvenated look and feel. · It enhances the collagen production. · Boosts the elasticity of the skin. · Tones your skin, tightens the loose folds of skin. Tanning Treatments – Spray tanning and other tanning treatments are offered for various price ranges. You can expect a single tanning session at $30 and can expect a great margin of discount in case of booking for a monthly session of tanning. Manicure and pedicure – Manicure and pedicure sessions are routine requirements among women of every age. The beauty salons offer services of deluxe manicure and pedicure and extend comprehensive package solutions with filing, nail cutting, exfoliation, massage and polish in the deal. You can expect a complete package for a manicure session for $45 or so in popular salons. Waxing – A basic beauty requirement among women, waxing is done in all salons. However, you specially need to evaluate the products offered by the salon in waxing. You can have your own preference, although; therefore, you can mention your specific product preference. Mostly, the minimum price range for waxing services offered in beauty salons in Gold Coast revolves around $20. Therefore, with enormous budget, upscale, luxury and boutique beauty salons in Gold Coast, you can avail one or the other in most of the locations in the Gold Coast. The only thing that you need to analyze is the budget of treatments and of course the quality and reputation of the service of the particular beauty salon you are interested in. You’ll never know when emergencies happen. Sometimes, accidents, burns, or extreme injuries might take place during the most inconvenient hours; and to make it more complicated, a clinic positioned a few blocks away probably does not serve throughout after-hours. In circumstances like that, luckily, some doctors in Australia like Pullenvale doctors serve during later hours. Isn’t it so practical? Possibilities are scary, that’s why it’s so reassuring to know that you live just a couple of blocks from a 24/7 clinic.Picture your dissatisfaction if you encounter a centre who refers you to other clinics since they are only open during mornings until afternoon—and it’s an emergency! With 24/7 clinics nearby, you never have to worry about this. Paying in bulk. What’s even better is that if you reserve an appointment today in some 24/7 clinics, you can totally pay in bulk if you have a Medicare card. For example, if you’re reserving an appointment for your kid who’s aged under 15 years of ages in a SmartClinics branch, you can also pay in bulk except during Saturdays, where you need to independently foot the bill. Pensioners who have health care cards can also get discounts. You don’t typically wait a lot. 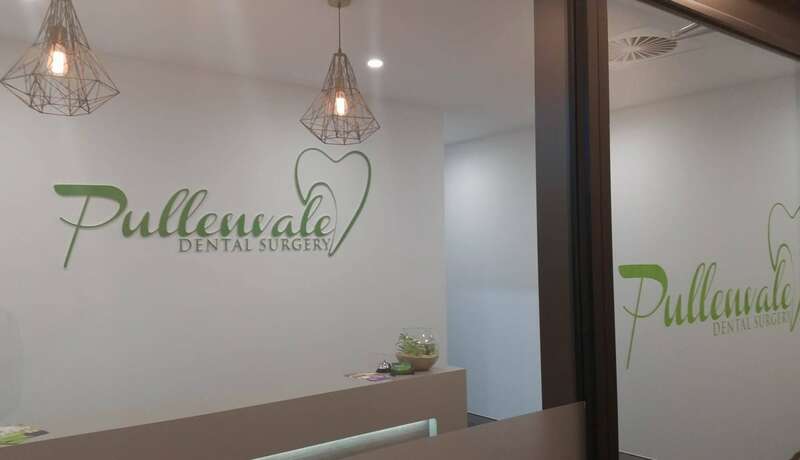 Most of the time, since it’s a 24/7 clinic or medical centre, their protocol is developed to serve and attend to each client rapidly and in the very best method possible. Late night admissions are clearly emergencies, so it’s only sensible for late-night shift healthcare centres to be trained in quickly serving clients and rapidly determining what medical treatment they really require. Well-prepared and -equipped clinic. Once again, because their protocol is to be alert and serve clients immediately, it just makes sense that their clinic is also fully equipped with the necessary tools for the most typical emergency situation scenarios. A well-prepared clinic’s environment is also appropriate for faster enquiries, therefore the other pending patients can be served right away. The same perfect services and costs like normal clinic hours. In some much better centres, they even have lower charges than conventional medical facilities. This is necessary, given that most late-night outpatients are typically in a rush and might not pay the entire fees in full, assuming they didn’t bring adequate cash. Meanwhile, for those health care card holders, they will likewise get streamlined services and discounts at a clinic who allows bulk-billing. There are many horticulture fashions today such as herb gardens, vertical farming, and hydroponic farms. But what does tending herb gardens do to you other than supplying you added parsley and spice for your dinner party’s pasta entrees? What people don’t usually understand primarily glance is the advantages of landscaping to psychological well-being. Research studies from the likes of Oxford University have actually proven that growing plants have a desirable impact on shrub’ self-worth and state of mind. And it even really helps in reducing unhappiness and fatigue! If you intend to experience tranquillity and learn a thing or more about the fundamentals of contemporary landscaping, then you can browse for vertical gardening ideas from specialists such as Mr. Stacky. Yet another activity that has been shown to provide individuals a sense of calm and accountability is volunteering. No matter if you’re a reputable businessperson or a trainee in their gap year, you can certainly volunteer overseas during your vacation. Through bodies and organizations like Volunteering.org, you can have a go at gap year volunteering and volunteer with children in forsaken areas in a synchronized and secured manner. If you’re preparing for a medicinal career, you can register in a medical internship by volunteering with children in hospitals; meanwhile, if you’re a businessman who wishes to expand their company and invest in networking, you can volunteer in Bali and meet potential clients and partners there. Albeit you’re combating stress, who claims it should also show on your skin? If you’re stressed that your skin is losing its natural luster and colour, you can try skin care therapy that scrubs, moisturises, and rejuvenates the natural gleam of your skin. One of the options you can take into account is an Enzyme therapy from DMK Brisbane. This treatment from Brisbane DMK clinic has today includes the needed assessment just before the solution to ensure that the skin expert can certainly find out the best therapy for you. In a DMK clinic Brisbane has these days, they are providing other sorts of DMK Enzyme Treatments, with prices extending from $169-$295. As the rate increases higher, the complexity and thoroughness of the therapy also raise. The Instant Lift Enzyme Therapy, for instance, is an ideal treatment if you’re going to a special event like a wedding or awards night and you want your skin to glow and feel supple. You can visit the DMK clinic Brisbane if you have further inquiries about this treatment. There’s a lot of information that prove how we must be ready for just about anything and plan ahead, most especially when embarking on to new work possibilities. And that being said, it’s somewhat likely that being completely random with your options is presented a bad light. Whilst organizing is vital to being successful, it’s not a determinative to achieving effectiveness– consequently is being random with your choices. Even so, the previous has been confirmed to summon creativeness for anyone. As an example, if you remain in a project that includes flexibility and thinking of new, daring ideas, you’ll absolutely be more satisfied if you chill out and specialize in being more random, instead of being too set up and restricted by a defined framework in conceptualizing.